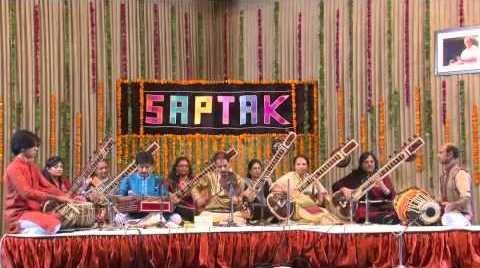 An Annual Music Festival is organized is organized by SAPTAK every year from 1st to 13th January. 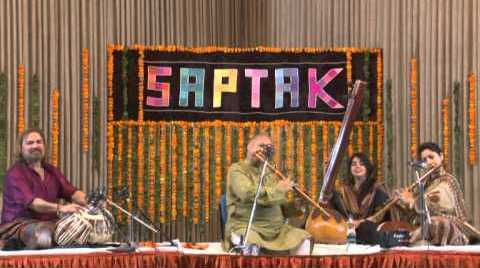 Saptak music festival was inaugurated by Pt. Ravi Shankar in 1980 and this event is organised by a public charitable trust which runs the Saptak School of Music. In its 38th year, world’s longest classical music festival Saptak, is going diverse. One of the most-awaited events in the city, it starts on the first of the new year, continuing for two weeks. There have been dance performances, along with music sessions. This year’s festival is from 1st of January to 13th of January 2018. With nearly 125 top artistes and about 50 performances spread over 13 days (15 Baithaks including 2 morning baithaks), the music lovers from all over India and abroad converge at the Saptak music festival for an unparalleled experience.